These are the shortest players to ever play in the NBA. The shortest basketball player in NBA history played high school basketball with another NBA player who I went to college with. Most of the players in NBA history who were 5 feet 9 inches tall or shorter did not have long NBA careers, however three of the four shortest players in NBA history each played 12 or more years in the league. At 5 feet 3 inches in height Tyrone Muggsy Bogues is the shortest player to ever play in the NBA. Muggsy Bogues was never a great NBA player but he did play for 14 seasons and 4 teams averaging 7.7 points and 7.6 assists per game. 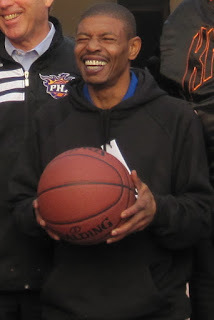 Muggsy played high school basketball at Dunbar High School in Baltimore, Maryland with David Wingate, Reggie Williams and Reggie Lewis who all went on to play in the NBA. I went to Northeastern University at the same time as Reggie Lewis and got to know some of the players on the basketball team but never really got to know Reggie. But he was a great player at Northeastern and for the Boston Celtics until he tragically passed way in 1993 from a defective heart condition. Muggsy Bogues was also a teammate with Manute Bol for the 1987-88 season with the Washington Bullets. Bol was 7 foot 7 inches tall and the second tallest player in NBA history so the Bullets had the shortest and second tallest players in NBA history on the team that year. Muggsy is officially credited with 39 blocked shots in his career including once blocking 7 foot 1 inch tall Patrick Ewing. Since retiring Muggsy has done some acting work including a funny cameo on the Larry David HBO show Curb Your Enthusiasm. At 5 feet 5 inches in height Earl Boykins is the second shortest player in NBA history. Boykins played in the NBA for 13 seasons and had a career scoring average of 8.9 points per game. He played for 10 NBA teams and he also played a season (2008-09) in Italy for Virtus Bologna. Spud Webb played in the NBA for 12 seasons and retired with 9.9 points and 5.5 assists per game averages. 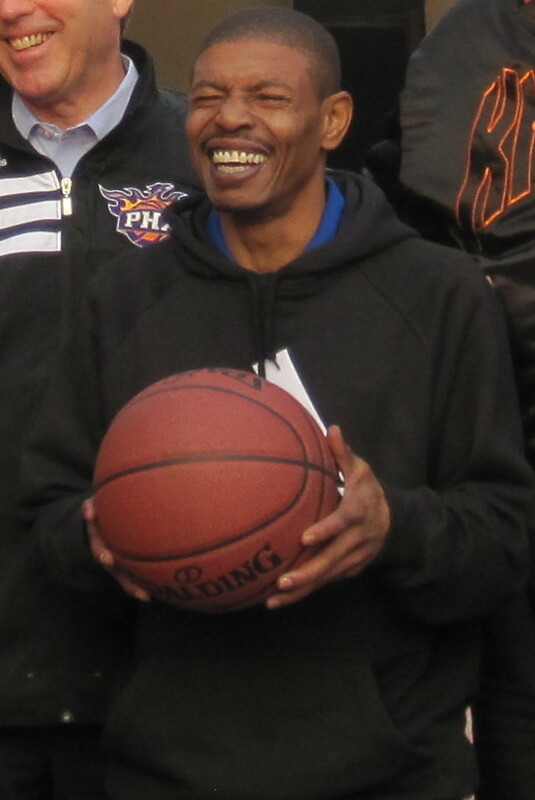 Webb is probably most famous for winning the 1986 NBA Slam Dunk Contest when he defeated defending champ and teammate Dominique Wilkins. Wilkins was shocked to lose to Spud since he had never seen him dunk a basketball prior to the contest. In 2006 Spud trained 5 foot 9 inch Nate Robinson who won the Slam Dunk Contest that year and two more times since. Mel Hirsch played just 13 games for the Boston Celtics during the 1946-47 season in the old BAA league the predecessor of the NBA. Five players in NBA history were 5 feet 7 inches tall (Greg Grant, Keith Jennings, Herm Klotz, Wat Misaka and Monte Tower). Three more were 5 feet 8 inches tall (Charlie Criss, Don Martin and Willie Somerset). Eleven players played in the NBA who were 5 feet 9 inches tall including Nate Robinson who had a vertical leap of 43.5 inches. The best shortest player in NBA history is Calvin Murphy also 5 feet 9 inches who was known for his instant offense whenever he entered a game and averaged 17.9 points per game and is in the Basketball Hall of Fame. Murphy was a great scorer but his personal life is spotty at best which even he admits.